Which are the main features of how the wars of Yugoslav dissolution are remembered in the post-Yugoslav countries today? The wars in the 1990s loom over all of the former Yugoslav countries, especially Croatia, Bosnia-Herzegovina, Serbia, and Kosovo, which is where most of the fighting actually took place. In all of these countries we see quite a large amount of public space being devoted to the memory of the war, and a lot of commemorative practices that function as an arena for political battle. Many politicians in all countries use the memory of the war for political legitimacy or to delegitimise their opponents. In all the cases, commemorations serve to homogenise the nation and contribute to the building of nation-states. So, instead of really commemorating broadly all the victims or condemning war, they – of course – focus on each specific side, which is not surprising if we look at the memory of war throughout history. In the European Union and in the SEE area, you would expect the elites to have learned from the past. However, just like during the communist era, only one side was remembered, that is the victors, while those on the other side – the collaborators – are forgotten and excluded from the memoryscape. Which are, in your opinion, the main differences in the relationship with the wars of the 1990s in different post-Yugoslav countries? In Croatia, the two main commemorations are Vukovar (the victimisation narrative about the fall of Vukovar in 1991) and the victory narrative of Operation Storm in 1995, centred in Knin. The focus is on Croats and Croatian victims, and in this very militarised memory there is little space for the victims on the other side, specifically for the Serb population in Croatia. I think we could see the attempt to broaden the discourse as Croatia was entering the EU, but now we see a new cycle of nationalist rhetoric. Despite some opening up of the memoryspace between 2000 and 2014, we now see some backsliding. Any challenging of the dominant official narrative is very difficult for historians, for independent media, for civil society, because this victory narrative was established in the 1990s and has continued, basically unchanged, to this day. We can see it is a militarised memory. Instead of focusing on initiatives that stopped the war or prevented further violence and having those as being very important messages of tolerance, these are marginalised and the focus is on either atrocities and victims or victorious battles. One example of a peaceful anniversary is that of the Erdut Agreement, which allowed the peaceful reintegration of eastern Slavonia, yet it receives little attention. This is something that we see in commemorations in general, since commemorative practices that evoke strong emotions enable easier political manipulation. In Serbia, we have the case that there is not really a single narrative at all, because there was no consensus regarding the goals of the wars in the 1990s. Was it preserving Yugoslavia? Was it creating a Greater Serbia? Was it about establishing a Serbian nation-state and keeping Kosovo? You basically have a series of lost wars in the 1990s. This lack of a strong official narrative allows for more debate in Serbia about the nature of the war than in Croatia. But the second point about Serbia is that, because of the role of the ICTY and the genocide charges, Serbia has also maintained that it was not involved in the wars in the 1990s, so even building official monuments is very rare. There are many local initiatives for these soldiers who had been fighting in the JNA and died in places like Croatia or Bosnia-Herzegovina, but it seems very bottom up. The exception to the rule is the NATO bombing in 1999. Everyone wants to have a victimisation narrative, and the NATO bombing enables this. We can see how the authorities pay a lot of attention to commemorating these events and building official monuments. The most fragmented and schizophrenic approach to the wars of the 1990s can be seen in Bosnia-Herzegovina, where there are three official narratives, in fact three clashing narratives of the past. You can see this also in the public space, and depending on which ethnic group is in power in a certain place, their monuments will be the dominant ones. There are a few exceptions: for example, Brčko district has memorials to all three sides. However, in a place like Prijedor where there were many Bosniak civilian victims, almost all of the memorials in the area are to the Serbian side. Because in many parts of Republika Srpska public space is denied to the Bosniak victims, many memorials are actually associated with the Islamic community and are located on the properties of mosques, so you see those memorials very rarely on squares or other visible areas. In other places in the Federation, Serb victims are not necessary given equal places of memorialisation. This year, several commemorations have been moved from Tuzla and from Dobrovoljačka ulica in Sarajevo where the Serb side has said, “we don’t feel safe having this commemoration”. Is this a political move or not? Were they really threatened? I am not sure, but we can see that all the problems of Bosnia and the memory of the war reflected in the way that it is commemorated. I know the Kosovo case study the least, but I know there is a very dominant official narrative there as well. The focus is on the victorious Kosovo Liberation Army, while the years of peaceful resistance are pushed out of the memoryscape. Which is the space given to the wars of Yugoslav dissolution in the European memory space? Are they remembered in other countries? Probably this does not have a very big role. Most people actually heard about it through the work of the International Criminal Tribunal for the former Yugoslavia (ICTY), the goal of which included reconciliation and dealing with the past in these countries, but they generally resulted in a backlash against the so-called international community. I think that in the wider European public most people know about the war through the trials, and despite of all the criticisms of the ICTY, in a way it has created some kind of memory at the European level. The Srebrenica massacre is the key memory point, as well as the role of the Dutch peacekeepers in that event. Do you see any influence by the European politics of memory in the remembrance of the wars of the 1990s in the region? In your opinion, what should be the role of European institutions? We can definitely say there is a process of “Europeanisation” of memory that affects new member states and candidate countries. My colleague, Ana Tassone Milošević (University of Leuven), looks at the “downloading” of European memory to new member states as well as the “uploading” of national memories from these new member states to the “European memory”. For example, she looked at how Croatian European parliamentarians introduced the commemoration of Vukovar at the European Parliament. Do average citizens in Belgium, Germany, or Sweden have access to this? Probably not, but at least in one way it has been uploaded. Previously, the European remembrance paradigm focused on anti-fascism and the Holocaust, which was always the checklist for any new member state. After the 2004 entry of former Soviet bloc countries, a new anticommunist memory was uploaded and is now also part of the download. So, now, European memory has this duality where it is legitimate to talk about the Holocaust and anti-fascism as well as anti-communism. I think that has affected the way memory works here, because now the right wing argues “look, condemning communist crimes is a European position”. Should the EU do more? There are a lot of projects and a lot of work being done, so Europe takes it pretty seriously. But I think Europe definitely needs to have a strong or new narrative because it has seemed really fragmented in the last three years. There is the migrant crisis, a return of border controls, and populist parties that aggressively seek to revise the European anti-fascist narrative.. Can we even really talk about a European memory paradigm anymore? National memories are being pushed again, in Croatia, in Hungary, in France, etc. So how long will this narrative of tolerance, antifascism, and commemorating all the victims really last? Twenty-six years since the beginning of the Yugoslav wars, personal testimonies still have an important role in the commemorative practices. What is their role? Are they potentially useful to challenge dominant narratives? Are they easily manipulated for political purposes? The Rekom initiative, which wants to create a regional commission for establishing the truth about war crimes and other violations of human rights, includes victim testimonies as one of the core goals. Are they good or bad? It always depends on who is recording them and it’s always also a battle for space and public recognition, like building memorials or naming streets. The state authorities often sponsor documentary films or interviews that support the dominant narrative. But there is a lot of work made by groups like Documenta, they have a series called “Croatian memories” with a huge number of oral history interviews. They have done a good job of including a variety of perspectives of both the war in the 1990s and WWII. Unfortunately Documenta is often attacked by the radical right because they also recognise Serb civilian victims, so sometimes really important testimonies or alternative memories are not heard by the broader public. The archives of the ICTY are also a big resource regarding documents and testimonies, which can help us understand the wars in this region from multiple perspectives. Several remembrance projects use art to talk about the wars. What do you think about the role art can play in dealing with the past? It can play a very important role, but it depends on how it is used. Graffiti or street art that only celebrates victory basically perpetuates and reproduces the dominant narrative. For example, Croatia has a lot of graffiti and wall art related to Vukovar. Maybe it is a creative way, but you also need to give space to the other side and those who struggled to find a peaceful solution, so using art to deal with the past can be a way for the younger generation to explore the narrative beyond just a military parade. In Croatia, however, artwork that challenges the dominant narrative is often denounced as being treasonous. For example, a satirical poem that criticised Operation Storm created a big controversy last year. 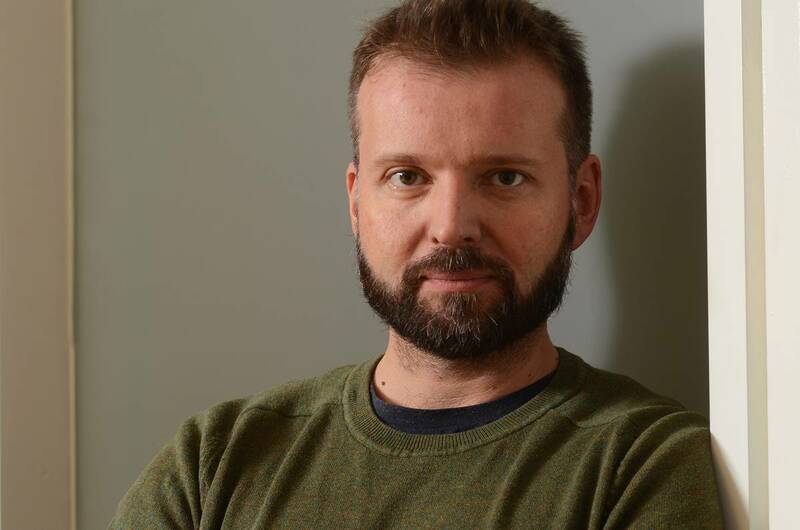 Oliver Frljić, the former director of Rijeka’s theater, created a lot of controversy when he invited five women to speak about Operation Storm from various perspectives, resulting in a number of people being threatened and assaulted. How useful is provocation? On the one hand it is good, because it draws attention to sensitive subjects that can be discussed outside of the political sphere, but on the other hand the emotional responses overshadow the serious discussions which need to take place. Rekom also included the arts in its programme of transitional justice, especially theatre, promoting plays that were in both Serbian and Albanian for example. In other parts of the world, art is an important component of transitional justice. For example, in Perù the indigenous peoples who suffered under state oppression use quilt-making and stone art to discuss the past because they do not have a tradition of written texts or due to a lack of commemorative public space. Art allows marginalised voices to be heard outside the political sphere, and provides a different way of dealing with the past that is not so militaristic and is more participatory. In this context, what are you trying to do with the Framnat project? Which is the focus of your work and how are you approaching the memory of the 1990s? We are looking at seven commemorations in Croatia, five from WWII and two from the war of the 1990s. The main area of focus that we analyses are political speeches, we want to look at how the political elite and other social actors such as religious communities, NGOs, and veteran and victim organisations use memory for framing how they see the nation. Since Croatia has had several different governments and presidents during this period, we can observe how different politicians and other mnemonic actors use memory. We also do field work at the sites of memory to record the various commemorative practices, as well as analysing the media representations of the messages that are issued at these political rituals. It is very difficult, as a researcher, to say we want to change the way people commemorate past violence, so at this point we are just trying to map all of the commemorative practices we are able to observe. Eventually, we would like to give some kind of policy recommendation or inspire a dialogue about how cultural memory can be used. Because every country is going to have some memory and every political system is going to use the past in various ways. Are we going to use our past for national homogenisation? For the nation- state to be exclusive, or are we using the past to learn that we can be better than this, that we can avoid future conflicts? The EU’s role in shaping commemorative practices is weaker since the EU project itself is uncertain, so a lot of countries in the region are turning to a more nationalist rhetoric rather than the inclusive European discourse that dominated in the last decade. This is also due to the migrant crisis, which has resulted in all of these countries becoming more defensive where memory politics have emphasised “the nation first”. The results of the FRAMNAT project will show how language, symbols, and the media are used to convey, and often distort, the past. Because there were clearly traumatic events and it’s up to us and to the political leaders to choose how to use this. Political elites, religious leaders, intellectuals, and the media all have a responsibility to offer society a policy of cultural memory that is inclusive and strengthens liberal democracy, and not one which offers a xenophobic narrative based on one-sided victimisation.